Learn how you can protect yourself as you drive at night. While many people don’t give driving at night a second thought, it’s important to remember that nighttime driving has its own risks. As the winter nights get longer, it’s important that you be extra cautious about driving in the dark. Here are some precautions you should take to stay safe while driving at night. While this may seem obvious, it’s important to switch on your car’s headlights when you drive in the dark. Not only will using your lights improve your visibility, but it will also ensure that other drivers see your vehicle. When you are in well-lit or highly populated areas, you should not use your car’s high beams. The bright lights could be dangerous for other drivers. You are okay to use your high beams when you are in particularly dark or rural areas. Just make sure you switch back to low beams when you see another car headed your way. 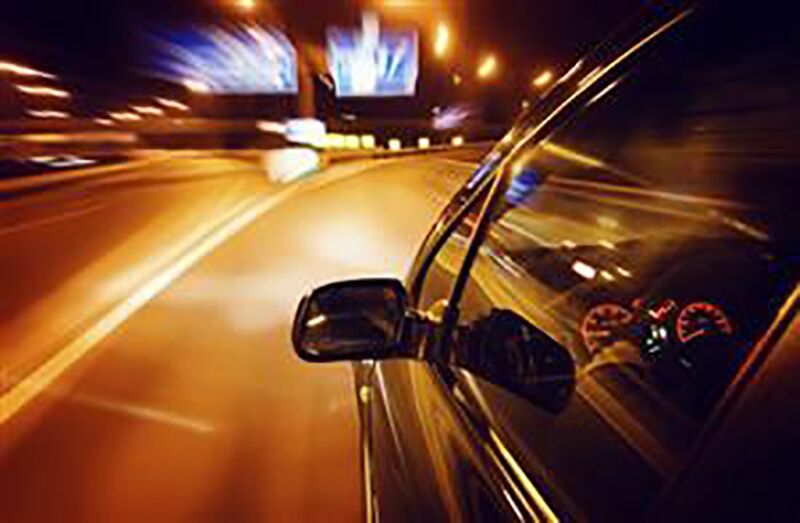 Employing defensive driving strategies can also help you stay safe when you drive at night. Because your depth perception is affected by the dark, you should reduce your speed and increase your following distance. This will ensure that you have adequate time to react to a previously unseen driving hazard. Additionally, staying calm and being hyper vigilant of your surroundings can also help you avoid getting into a serious accident. When it gets dark, our bodies naturally prepare for sleep. This drowsiness can make it difficult to drive safely. To combat this fatigue, it’s important to make sure that you are well rested before attempting to get behind the wheel. Additionally, having a caffeinated beverage can also help you feel more alert. Remember, if you feel yourself falling asleep or become worried that you cannot drive safely, don’t hesitate to pull over. Try out these strategies to help you stay safe as you drive at night. If you want another way to stay safe while on the road, make sure you have the auto insurance that you need. To find the best policies for you, contact the professionals at The Schwab Agency in Colleyville, Texas. Our dedicated team is always ready to get you the coverage you need.